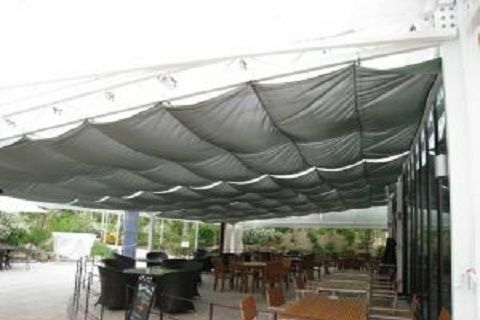 Product page - Maruhachi tent Co., Ltd.
We produce awnings that function as sun-shade, and it cuts about 80% of UV. What is more, awnings make space much more brilght, fancy, and clean. 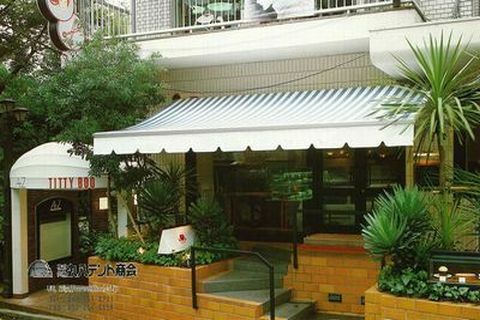 With this awning, people can enjoy chatting over coffee, for instance. In south East Asia for example, where the weather is rainy and hot all year around. Maruhachi tents are used to improve working conditions in plants, dorms, departments...etc. Installation of a tent enhances work efficiency, and enables people to work much more safety even in unstable conditions. We manufacture eco-friendly designs. 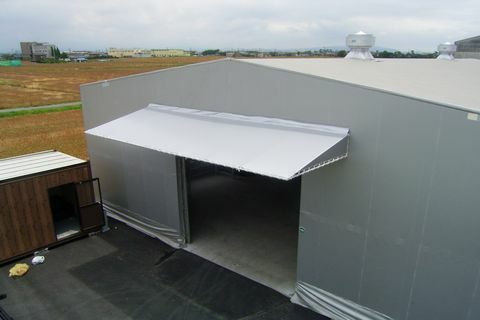 For example, thermal barrier coated mesh-shade -cloth cuts down ultraviolet rays as well as infrared rays by up to 80％. Installing this shade-cloth with windows creates a comfortable environment with little need for air-conditioning. The material is a mesh, which allows wind and sunlight to get through, while block the heat. 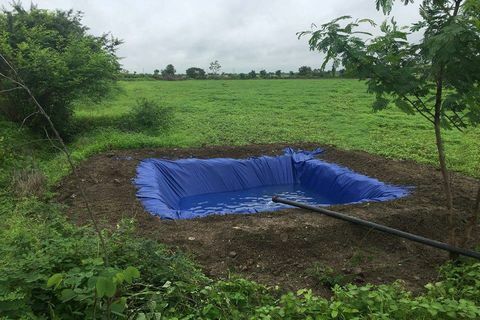 We are providing a number of agricultural products for the betterment of farmers such as pond liner. We will continue to strive to develop innovative agricultural products to help solve different problems farmers are facing in the world. Our activities have been highly appreciated in Japan. 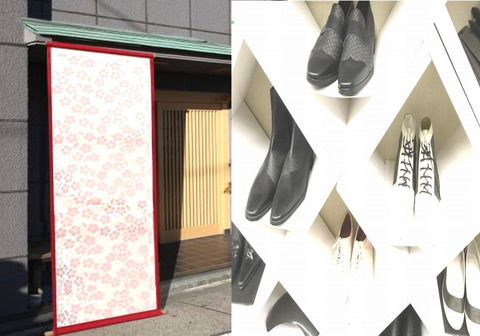 In 2012, our products, ‘Nishijin-carbon’ and ‘Nishijin-hanpu’ (carbon and tent fabric woven in the Japanese traditional way), were certified as a JAPAN BRAND project by Ministry of Economy, Trade and Industry. We also participated in exhibitions in China and Germany and are trying to spread the Japanese creative design and manufacturing to the world.